Are you new to real estate? Been in the business a while and just want to hone your skills? Each Wednesday we offer a different class on a variety of topics including Flexmls, RPR, CloudCMA, Title and Escrow and more. As a former ARMLS trainer I know a lot of the behind the scenes tips and tricks to take your business to the next level! I would love to help you become more proficient with the tools you use everyday. 11th – Adding a Listing in Flexmls -Learn how to enter your listings into Flexmls and learn the ARMLS rules for listings so you stay in compliance and fine free. 17th – Reading a Title Report – Our Branch Manager and Senior Escrow Officer Kim Farnsworth will walk you through how to read a title report and what you should be looking for. 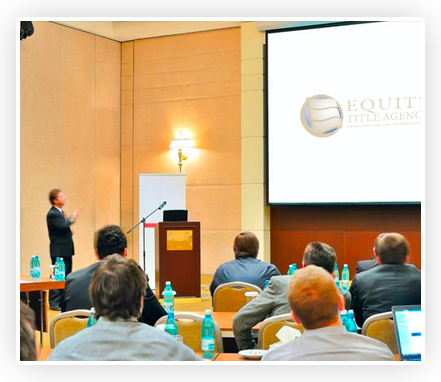 When you leave this class you will be better prepared to answer questions your clients may have and be a step ahead of your competition. 25th – Searching Tips and Tricks – Learn how to save time searching in Flexmls and ways to make your searches more effective using wild cards and other hidden gems in Flexmls. Each class is limited to 12 attendees so be sure to RSVP early to save your spot.